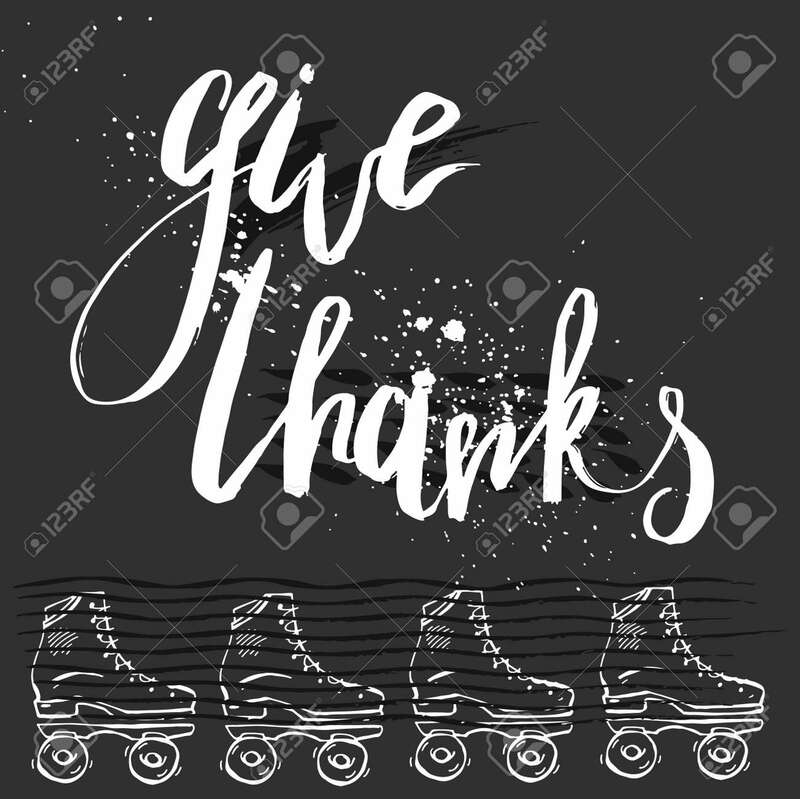 Hand Drawn Vector Ink Textured Lettering With Retro Roller Skates On Black Background.Give Thanks Quote Handwritten Lettering For Thanksgiving Day Card. Lizenzfrei Nutzbare Vektorgrafiken, Clip Arts, Illustrationen. Image 118411303. Standard-Bild - Hand drawn vector ink textured lettering with retro roller skates on black background.Give Thanks quote handwritten lettering for Thanksgiving Day card.